Background/Info: French producer Christopher Kah has already been busy for quite a long time now. I discovered his debut album “A Wonderful Darkworld” released in 2005 on Axess Code, which was an interesting industrial/ambient exposure. He progressively moved towards techno-orientated fields and in the meantime set up his own label RedHotHell Records. While Christopher Kah is mainly releasing EP’s he now strikes back with a new album. Content: Techno music definitely became the main source of inspiration from this artist. That’s easily noticeable when listening to “Second Nature”. But it’s not just techno! 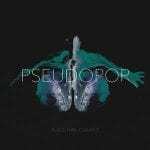 There’s a twist with other electronic influences, which gets the composition now a bit minimal-like and then more groovy. + + + : The album takes off in an interesting way with the pretty minimal-sounding title song featuring some robotic vocal parts. 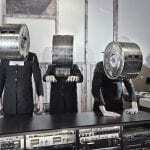 The more into trance sounding “Ckosmos” comes next and is another cool song featuring robotic vocals as well. Other attention grabbers are at the end of the album. I have a preference for the cool and cold-space like “Whirlwind”, which clearly shows another side of the artist. The common element between all the tracks is the high-tech production. – – – : Christopher Kah has seriously evolved throughout the years. I’m not surprised Laurent Garnier took him under his wings as his music became intelligent-techno driven… but sometimes maybe a bit too techno especially when you remember the way it all started on “A Wonderful Darkworld”. 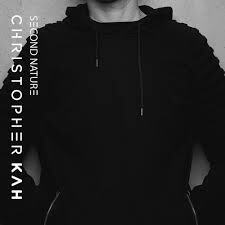 Conclusion: Christopher Kah demonstrates techno music is much more than danceable kicks, but you clearly have to like techno music to enjoy “Second Nature”. Best songs: “Ckosmos”, “Second Nature”, “Whirlwind”, “Fallout & Ashes”.